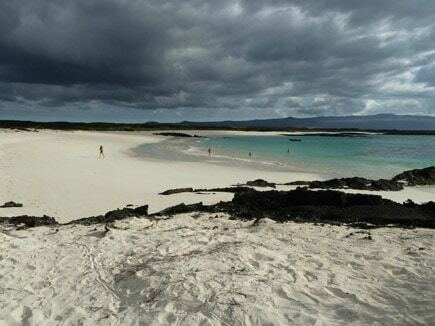 Today we will take you to the airport for your flights to the Galapagos – the inspiration of evolution. You will be met there and transferred to your hotel to begin your next adventure – a four day land-based program in the Galapagos Islands. 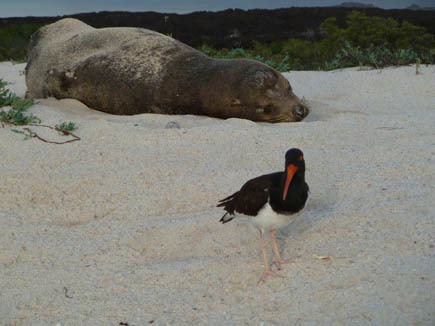 Stay in a comfortable four star hotel or lodge and visit other parts of the Galapagos on day excursions. This way can experience the amazing variety of the Islands but still sleep on solid ground. Alternatively stay in comfortable lodges on three different islands. Our hotels are all designed to blend into the environment. All are full board and have excellent dining. Whether you chose to stay on different islands, or prefer the comfort of having one hotel base – you are guaranteed a comfortable stay with a variety of daily excursions. All excursions are on roomy yachts with fully qualified nature guides with the safety precautions you would expect. This is also the best base from which to dive around the Islands (more below). Walk through a forest of big Opuntia cacti to see land Iguanas (only on this island), lava lizards. On the beach see families of sea lions sunbathing and then snorkel with off the beach with the creatures. Galapagos hawks can also be seen on the cliffs here. This small island is teeming with wildlife, sea side and along the cliffs: sea lions, land iguanas, swallow-tailed gulls, Opuntia cacti and vegetation that changes colors with the seasons. Ideal for unqualified divers who want to try it out and have a deeper the amazing life in the Galapagos seas. Instruction in a pool first before open water dive. With opportunities to see Eagle Rays, Manta Rays, Hammerheads, White-Tipped Reef Sharks, Galapagos Shark, Stingrays, Marbled Rays, Moray Eels, Sea Turtles, Jacks, Blue and Gold Snappers, Flag Cabrilla, Creolefish, King Angelfish, Barracuda, Frogfish, Scorpionfish, Cardinalfish, Nudibranch and more. 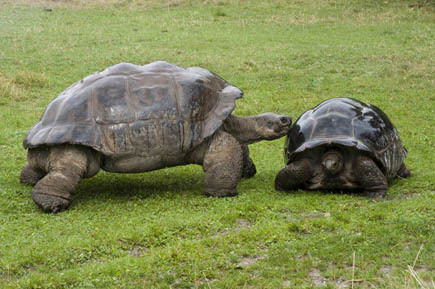 Visit two enormous collapsed lava chambers and a 450m illuminated lava tunnel and then continue to a private reserve which is the home of the giant Galapagos tortoise. Go at a leisurely pace between the bays and coves of Santa Cruz Island. 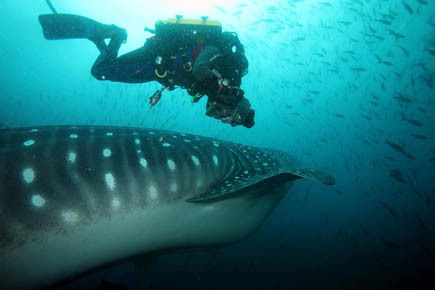 Take a break for some snorkeling and a good chance to see white tip and Galapagos sharks, manta rays and tropical fish. Today your final day on the Islands, you will have one last local visit and then be brought to the airport for your flights back to Guayaquil, Quito or Lima and onwards home … an unforgettable trip!